How about a challenge of Japanese handloom weaving? Create your own coaster, one and only in the world. 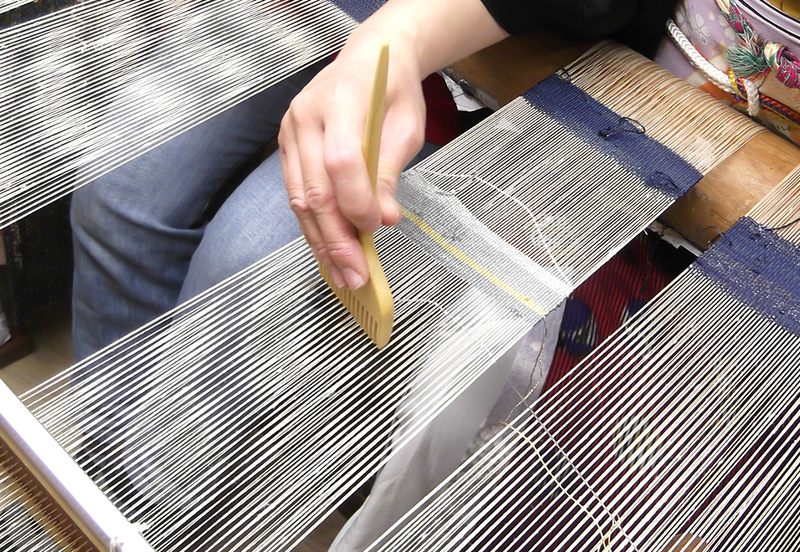 Nishijin nail-scratching tapestry weaving is produced without any use of machine or pattern paper. For this reason, all the Tsuzure-ori woven works are in fact one-of-a-kind items. Have fun weaving such an item of the color and pattern of your choice. What a great resource to connect travelers w local artisans!